A facial recognition device at Houston’s George Bush Intercontinental Airport in July 2017. The tweet went viral, with many commenters writing how dystopian or terrifying they found the technology—suggesting we should be wary of the proliferation of biometric systems like those used in China. “There’s one guarantee that I’ll never get to go to China now,” one Twitter user wrote in response. “That’s called fascism and it’s not moral or ok,” another comment read. 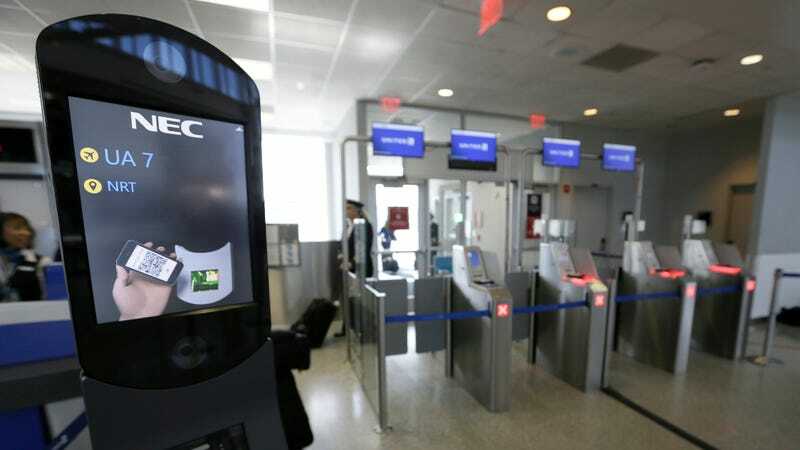 But airport facial recognition technology isn’t new in China, and similar systems are already being implemented at airports in the United States. In October, Shanghai’s Hongqiao airport reportedly debuted China’s first system that allowed facial recognition for automated check-in, security clearance, and boarding. And since 2016, the Department of Homeland Security has been testing facial recognition at U.S. airports. 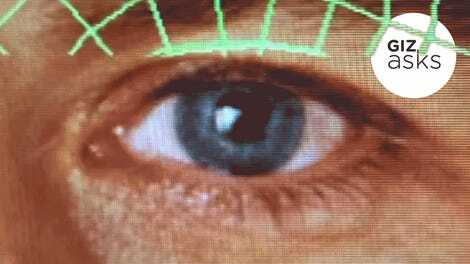 This biometric exit program (which has been criticized as buggy, unnecessary, and on shaky legal ground) uses photos taken at TSA checkpoints to perform facial recognition tests to verify international travelers’ identities. Documents recently obtained by Buzzfeed show that Homeland Security is now racing to implement this system at the top 20 airports in the U.S. by 2021. Delta would not comment before time of publishing about the similarities or differences between its system and what is demonstrated in Brennan’s tweet. The Chinese kiosk seemed to be out in the open, scanning virtually anyone who approached the screen. Based on Delta’s press materials, the airline is only using facial recognition technology at specific terminals and checkpoints. The intention Delta’s biometric program seems to be streamlining the process of walking through those checkpoints. No fumbling with a ticket or passport—just take a glimpse at a screen. As we’ve said before, the surveillance state will be extremely convenient.